Discover a privileged and confidential place with a little touch of an English club room style with its beautiful wood panel on the wall in a warm color. You will benefit from a pleasant and friendly space with some comfortable armchairs and you will have the possibility to have some different light intensity. 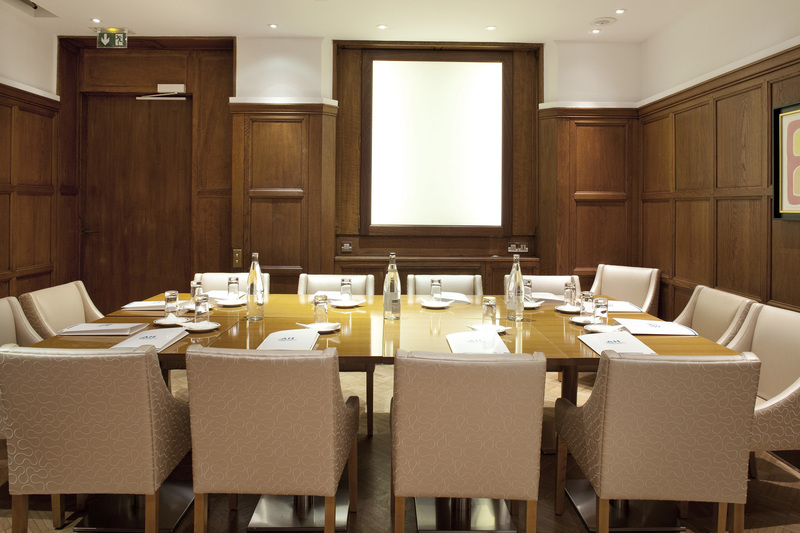 For the organization of your company events, seminars, professional interviews the Atlantic Hotel in Paris provides you his conference room of 25m2 and has a capacity between two and ten people. 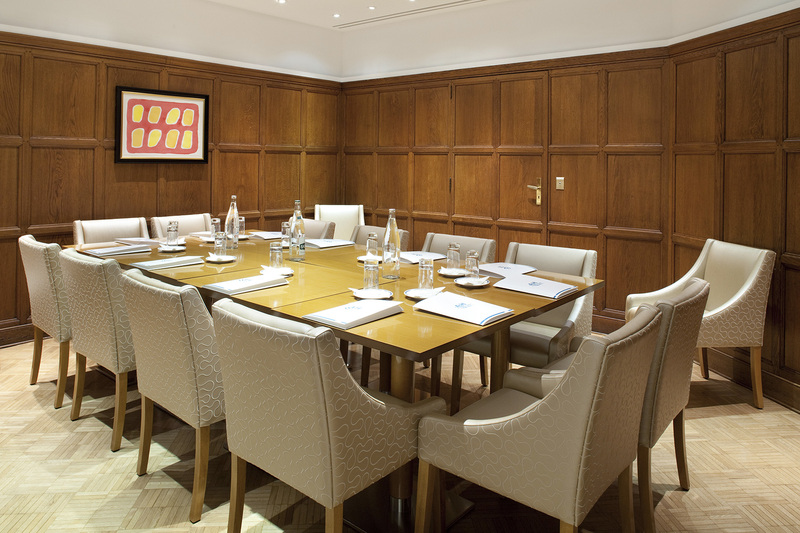 Some different table shape is available but the most popular are the boardroom and u shape. It can be accessible as well for the people with reduced mobility. Product launches, networking, management committee press conference, incentive, the conference room of the Atlantic Hotel Paris is the perfect place, decorate with care by our designer for intimate meetings mixing comfort and modernity as it has notably access to the free WIFI network and a movie screen in order to be able to view your presentation on video projector. 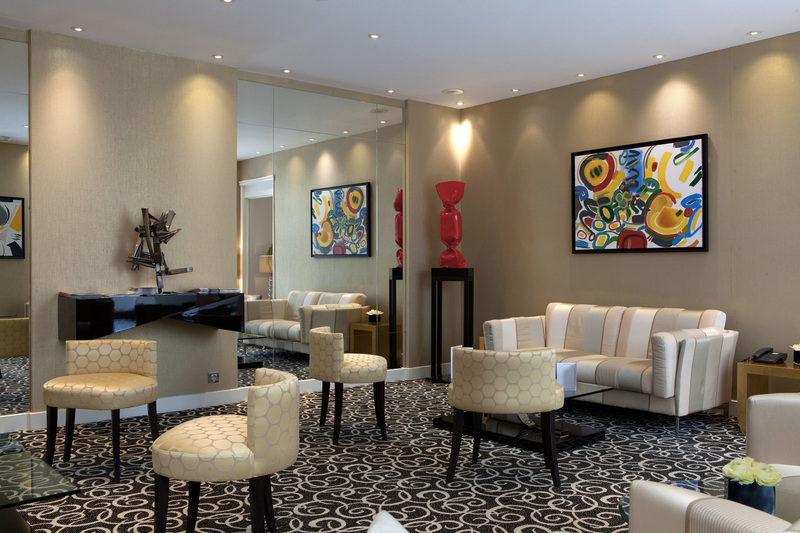 This lounge is dedicated to the success of your events and our team is at your disposal to achieve this. You will have the possibility as well to stay in one of our 81 bedrooms: individual, classic, superior or deluxe offering a space of peace with an elegant design particularly appreciated after a long working day. You can rejuvenate there. Located in the eight district just a step from the train station Saint-Lazare and the big department stores, our hotel is very well served by public transport. Near the Opera, Madeleine and Champs – Elysees it will allow your guests to discover Paris. We will be at your service if you wish to book in one of the many excellent restaurants nearby as well as a play or a performance in one of the famous cabaret of the city to enhance your meeting.